Step two: Organize these hundreds of contributions into a thought-provoking, game-changing literary compilation. Step three: Publish, and donate all proceeds of book sales to environmental and humanitarian charities. Step four: Make a difference to the world. Sound ambitious? Todd pulled it off. 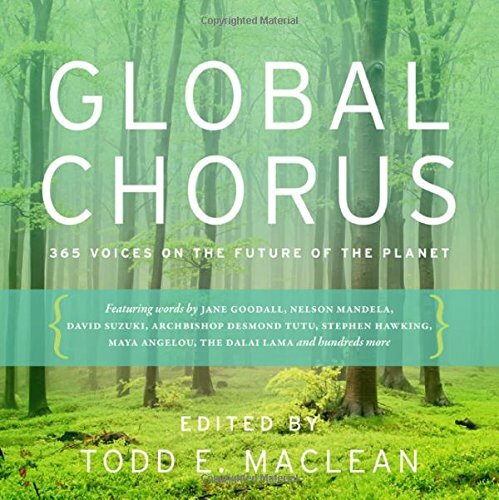 Global Chorus: 365 Voices on the Future of the Planet, published by Rocky Mountain Books, will be in stores across the country at the end of the month. You can pre-order your copies online. The theme was hope. The responses were optimistic. Notable contributors – and I’m only naming a few here – include Nelson Mandela, Maya Angelou, Mikhail Gorbachev, Justin Trudeau, Desmond Tutu, David Suzuki, Jane Goodall, Rick Hansen, Farley Mowat, Temple Grandin and the Dalai Lama. Every single one of these individuals donated their work and time to this project. Including me. Yep, I’m jammed in there on October 28, rubbing elbows with none other than October 29’s Stephen Hawking. I’m humbled to be included. Floored, in fact. But proud. It’s a worthy project. And it will matter. 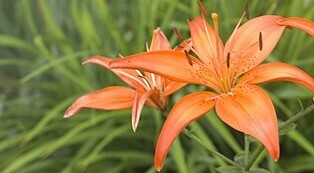 Congratulations Lisa. 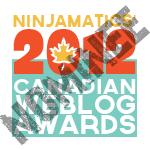 What a wonderful tribute to the sheer goodness and joy that you give us all with your blog. That’s a lovely thing to say, winetourist! I am excited about the release of this book, and the opportunity to read these essays – and believe me, I am a speck of sand compared to the big names in there.